Good things come to those who put their whole heart in whatever they do. Isn't that a great phrase? JoJo Loves You is a fabulous jewelry design studio in Boston made by jewelry designer JoJo who followed her dream to create gorgeous bling. She makes everything by hand using the highest quality materials and lots of love. 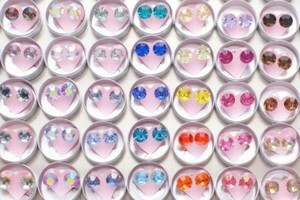 Vintage Swarovski crystals are handset in sterling silver posts and then packaged on their hand-punched pink hearts and placed in their signature round silver tins. My friends at JoJo Loves You gave me a heads up about their huge Annual Memorial Day Bling Sale. Trust me, it is going to be awesome! The sale runs from Friday, May 25th through Monday, May 28th. Even if your weekend plans take you out of town, you can still shop the sale online at their website JoJo Loves You. The myriad of colors, sizes, and styles from JoJo Loves You is amazing and will match every occasion and every wardrobe. 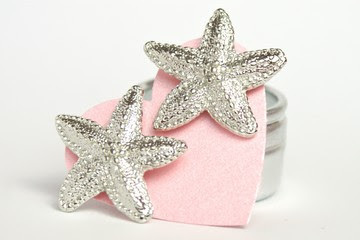 The Silver Starfish Earrings are a fun choice for everyday wear in the summer. 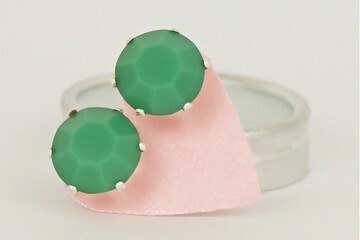 The Flat Green Bling Earrings match practically everything in my wardrobe and are another fabulous choice that you can wear every day. 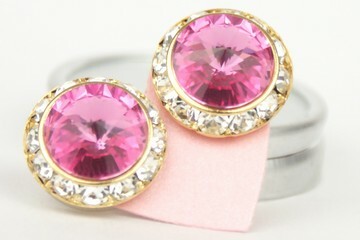 Add some sparkle to a dress for a summer wedding or party with the Pink Party Bling Earrings. Be sure to mark your calendars for tomorrow's wonderful sale and visit JoJo Loves You to start making your wish list! 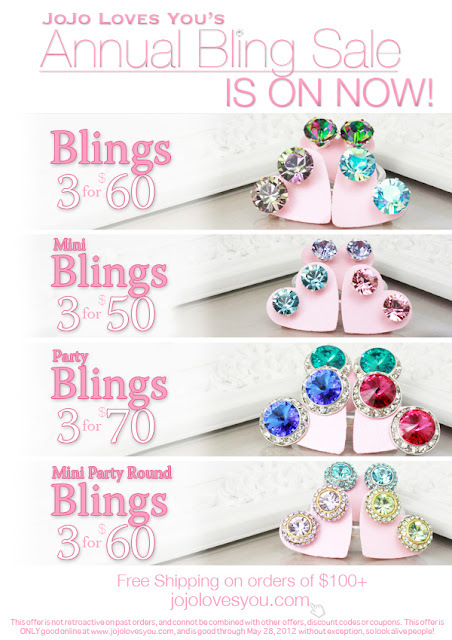 I have been a fan of the blings since she first started making them as she is from Bosto. A friend of mine started wearing them to our law school classes and before you knew it ALL of my friends were them too! The starfish are my favorites! The whole line is fabulous, though.